» Can Cats Eat Tuna? Most cats go absolutely crazy for tuna! And human-grade tuna (the kind you buy at the grocery store) can be a wonderful addition to your cat’s diet, much like sardines or possible even crab. Full of vitamins, minerals, and oils that are crucial for kitty health, tuna fish is a fabulous treat for your cat. As with most human foods, you just need to be careful that you don’t overdo it! Can Cats Eat Tuna Salad? Can Cats with Kidney Disease Eat Tuna? Tuna has a lot of unsaturated fat. While human beings tend to prefer unsaturated fat to saturated fat, too much of any kind of fat is bad for your cat. Always give your cat tuna in moderation. Tuna contains high levels of mercury, and some types of tuna contain more than others. Light tuna contains less mercury than white tuna (albacore) so take care when choosing which type to offer your kitty as a treat. Mercury poisoning in cats is very dangerous, and the symptoms include lack of coordination, muscle weakness, a rash, and vision problems. Tuna is not a substitute for a high-quality cat food and should only be given as an occasional treat. fact, if you get your cat used to eating tuna fish, they may turn up their nose at regular cat food- you don’t want a picky cat on your hands! Guys- there’s even a song about cats that love tuna. What a time to be alive. Yes they can! Human-grade tuna, the kind you and I would eat, is much healthier for your cat than tuna flavored wet cat food, as it contains fewer (if any) preservatives, chemicals, and additives. While tuna should never be given as your cat’s main meal, it can make a very tasty and healthy treat. Keep it light! Light tuna fish contains less mercury than other varieties and is safer for your cat. Keep it simple- while you may like mayonnaise or other dressings in your tuna, your cat certainly doesn’t need any of that- they’ll eat tuna plain! Stick to tuna canned in water, rather than oil. While a little bit of oil is good for your cat, tuna is a very oily fish in and of itself and the excess oil that it is packaged in may be harmful and make your cat sick. Only feed your cat boneless tuna. You wouldn’t want your cat to choke! Watch for any signs of digestive upset. If your cat vomits or has diarrhea after consuming tuna, don’t give it to them again. If the symptoms continue for more than a day or so, bring your cat to the vet. It’s not a good idea to give your cat tuna salad. There is no reason to give your cat tuna salad, which often contains tons of extra fat, sugar, and carbohydrates. If you want to give your cat a tasty tuna treat, stick to regular, plain tuna. While it may not seem particularly appetizing to you, trust us- your cat won’t mind! If your cat suffers from kidney disease, chances are you’re already very careful about your cat’s diet. Or at least, you should be! Tuna can be helpful to cats with kidney disease because it can serve as an incentive for your cat to eat when added to regular cat food. Tuna is unlikely to worsen kidney disease in cats, but if your cat is ill you might not want to get too creative with their diet. If a tiny bit of tuna mixed in with your cat’s regular food gets them to eat, then it may be worth it. But please check with your vet! Just like with adult cats, only give kittens tuna fish packaged in water, not oil. Give your kitten only plain tuna. Skip the dressing! Only offer your kitten a tiny bit of tuna- too much will likely make them ill. Less than a tablespoon a week is ideal. 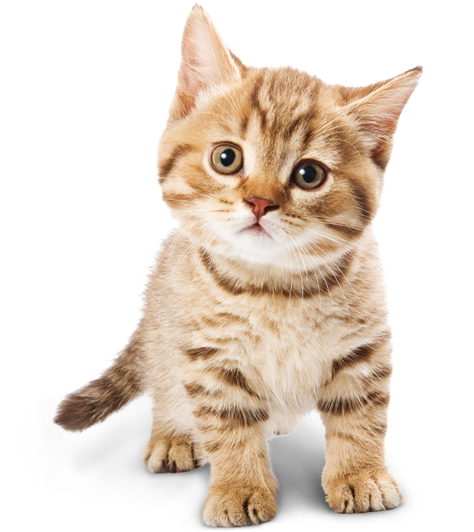 Carefully monitor your kitten for any signs that the tuna is making them sick, such as a vomiting or diarrhea. If you don’t want to give your kitten tuna but don’t want them to miss out on fish, you can try giving your kitten fish flavored cat treats. Tuna contains a lot of healthy vitamins and minerals, such as selenium, vitamin B12, vitamin B6, and protein. Tuna can also be used to entice your picky cat to eat their regular food- just a tiny bit of tuna mixed in with your cats dry food will make it irresistible! However, too much tuna can be bad for your cat’s health because of its high mercury content and high levels of saturated fat. Tuna is safe for most cats (those without underlying health conditions) in moderation. Just a tablespoon or so a week is plenty- your cat can reap the benefits of tuna without having to worry about any of the potentially negative side effects! Because cats generally love tuna so much, the pet industry has provided us with an absolutely preposterous amount of tuna-flavored cat treats. If you don’t want to feed your cat regular tuna (or if tuna grosses you out and you can’t bear to open a can of it) you can always buy them some healthy tuna flavored cat treats. While they likely won’t contain the same health benefits, they can be a safe and easy way to give your cat a taste of tuna. Tuna treats come in many varieties. Some are specifically made for picky cats and are a squeezable liquid that can be mixed in with your cat’s food. These can be great if your cat is a picky eater. Others are simply little kibble treats. We like brands that have “tuna” as the first or second ingredient, like Wellness Kittles. Many tuna flavored treats are mostly chicken, so be sure to read the label. You can also opt for a high-quality cat food with fish as the main ingredient. So, Can Cats Eat Tuna? In short, they certainly can! While you will need to be careful not to overdo it, tuna given to your cat as a treat in moderation is a great way to keep them healthy and happy. Give your cat tuna in small quantities. Too much can make them sick! Remember that tuna isn’t the same thing as wet cat food, and shouldn’t be a substitute for your regular cat food. Tuna packaged in water is better than tuna packaged in oil. Don’t give your cat tuna salad- they don’t need all the extra ingredients! Monitor your cat after giving them tuna to make sure they don’t have an adverse reaction. Does your cat come running as soon as they hear you open a can of tuna? Do they try and steal some of your tuna salad? Have questions about how to incorporate tuna into your cat’s diet- tells us in the comments!